The Centre is now closed and will reopen some time in May 2019. The Heritage Centre is a fascinating visitor attraction which caters for all ages and tastes. The variety of exhibits ranges from pre-Christian times and includes a history of the church. It also has information about many residents of Largs with an emphasis on the 18th century but also not forgetting the well-known sons and daughters of the town today. The Heritage Booklet is available for download here in PDF format. 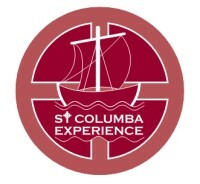 As part of the Heritage Centre The St Columba Experience is an exciting new Audio Trail of the historical parts of Largs which lasts for about 1 hour using a handset and which gives valuable and interesting information about the town. 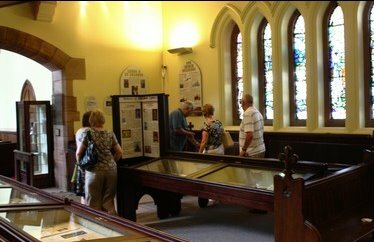 In addition the handset also takes you on a tour of the church describing in detail the superb stained glass windows and carvings within St Columba's. This is a tour not to be missed. 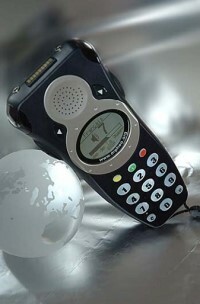 The talking guide is the tour that you control. Let it be your host as it accompanies you around the town. Soak up the atmosphere and learn some of the history of this popular resort. Learn more of our connection with Australia and hear both interesting facts and amusing stories about our past. 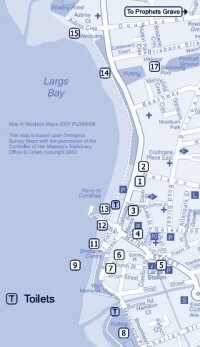 The Audio Trail Of Largs Booklet is available for download in PDF format.